Avoiding Marquee Madness – How To Ensure Your Marquee is Set Up Correctly. If you’re hosting an outdoor event sometime soon, chances are you’ve hired a marquee. Generally, marquees are erected a few days prior to an event, in order to have everything set and ready for your celebration. It is of utmost importance that you ensure your marquee is set up correctly, as one that isn’t could prove to bring a wave of disaster to your event. 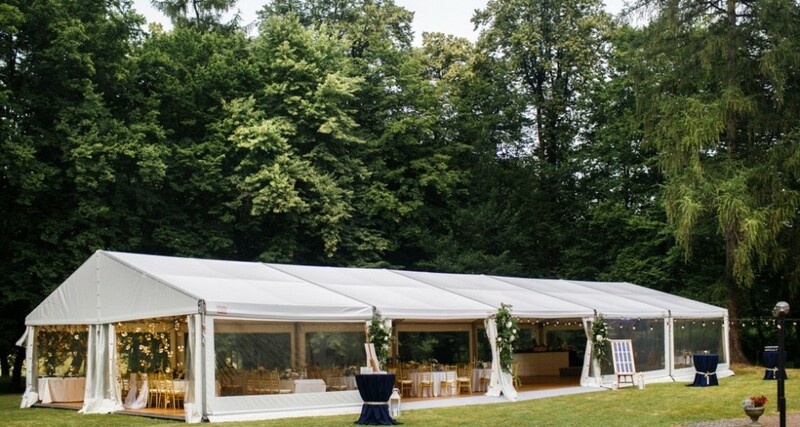 In this article, we have a look at exactly how you can go about setting up a marquee correctly. Read on to find out more! When enlisting the help of a professional marquee hire, it is important that you ensure you have done all your research into the groundwork of your venue. Marquees require a suitable area such as a flat surface, concrete, grassed lawns paving or wooden decking. If your marquee requires staking, pay attention to underground factors that may affect the placement of your marquee. You will want to take note of any gas/water lines, sewage piping, sprinkler systems or electrical wires that may be in the way. Ensuring that your surface is one that is reliable is the first step in ensuring your marquee is set up correctly. 2. Can Your Marquee Accommodate All Your Guests? Step 2 in ensuring your marquee is one that is not just set up correctly, but also suitable for your event is to double check that it can accommodate your entire guest list. You should do this a few days in advance in the unlikely situation where you have chosen a marquee that is too small. This ensures you have time to contact your marquee supplier to make any necessary changes before your event. Whilst most marquees are sturdy and highly resistant to various weather conditions, it is important that you select one that is specifically suited to the predicted weather conditions for the day. If you are hosting an event in the middle of winter, always ensure you hire a marquee that allows you to secure doors and windows, and one that allows you to use heating inside with no issues. Choosing the wrong marquee may end up putting a damper on your event, so always check for weather conditions in the process of setting up your marquee. A marquee that is successfully set up will have access to electricity and power so that you can run your appliances, whether that be speakers or lights, without any issues. It is always important to check that you have a power source available and to test everything out a few days in advance to give yourself leeway for potential hiccups. It is also advisable that you have a backup generator as Plan B, but do remember to keep the generator a good distance away from guests as they tend to be rather noisy! Last but not least, it is vital that you check that your marquee suits your event. To get a good idea of exactly what you will need on the day of your event itself, we highly suggest sussing out the structure for your event before booking your marquee and consulting with your marquee provider before locking in your choice. We hope that this article has given you some insight into how you can ensure your marquee is set up correctly. Want to take the effort out of a perfect marquee setup? Contact the marquee hire experts at Marquee Monkeys today on 1300 934 414.